A social media content schedule is a visual schedule of what your business is going to post about each month to your social media channels. 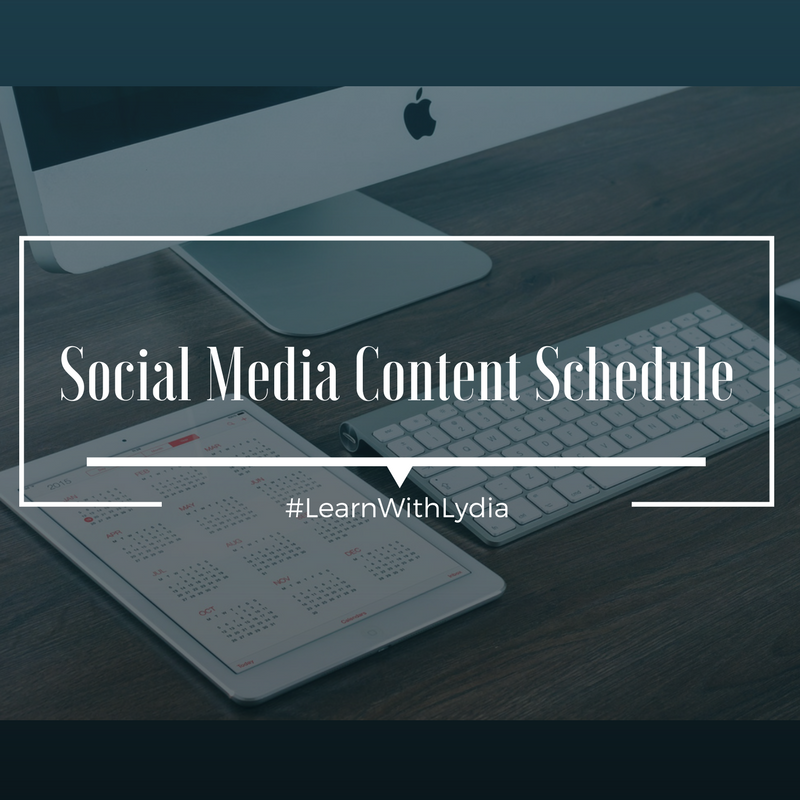 Setting up a monthly social media content schedule shouldn’t be hard. Whether this task is an internal one or outsourced through social media marketers, it should definitely be on your business’ monthly to-do list. The benefits of creating a monthly content schedule are great. Planning your business’ social media posts in advance will make sure that your business page always has quality content to share with your followers. With the many platforms online such as Facebook, Twitter, LinkedIn, and Google Plus, the peak times for interaction from users vary. Knowing the best times to post and what content will be most relevant for the day is crucial to increasing your brand’s awareness. The content you post throughout the week has a rhythm to it. For example, Mondays are a great day to promote products and Thursdays are great for contests. I know promoting your products every day would be great but this can become mundane to users and cause them to scroll past your posts. You must switch things up day-to-day. Every day of the week has a specific theme your business should post about to increase your customers’ engagement. This is all based on metrics. It is important to keep your audience in mind and not bombard them with posts that are irrelevant. So you’re probably wondering how this is set up. There are many tools that allow you to schedule your social media posts. You could do something as simple as using a calendar and jotting down ideas for each month. Or use an online system. Hootsuite is a great platform for managing social media. It allows you to schedule out posts, add hashtags, and add images. No matter which tool you use, a social media content calendar will help you to organize the way you create content. Also, if you are a Facebook user you can schedule out post directly from your Business Facebook account. As you can see there are many ways to go about this. The important thing is to make sure your company is providing your audience with engaging, useful content that provides them a reason to follow your business.